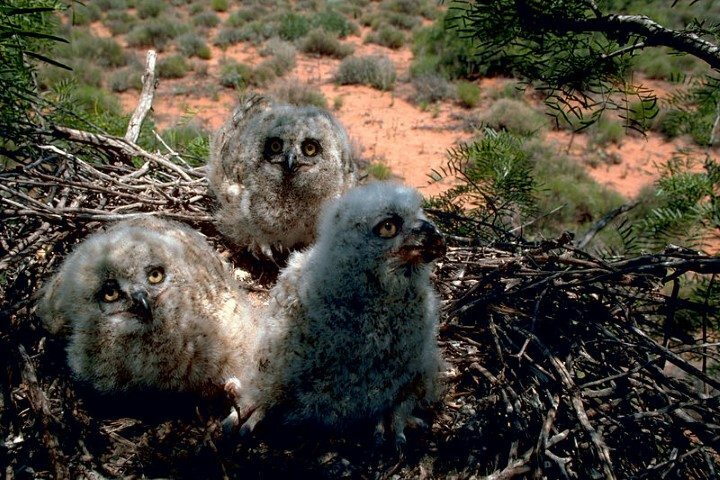 FACT #1: There are 30 species of hawks, falcons, and eagles as well as 18 species of owls breeding in North America. 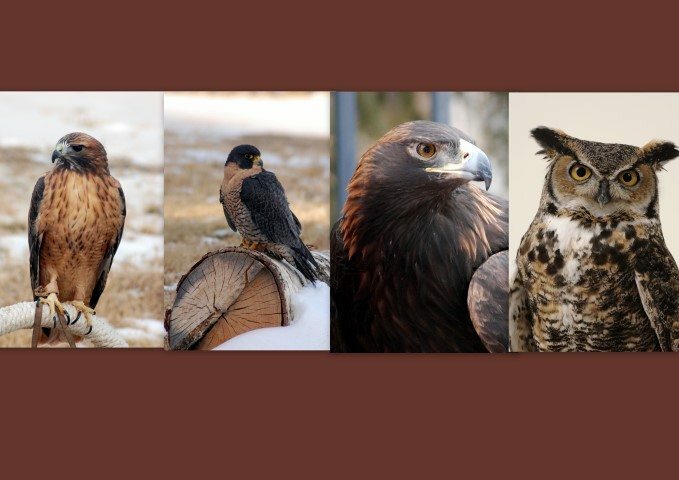 Red-tailed hawk, peregrine falcon, golden eagle, great horned owl. 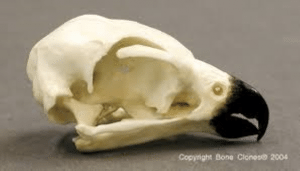 FACT #2: The scientific name of turkey vultures, Cathartes aura, means “purifying breeze” which reflects vultures’ ability to clean-up animal remains. 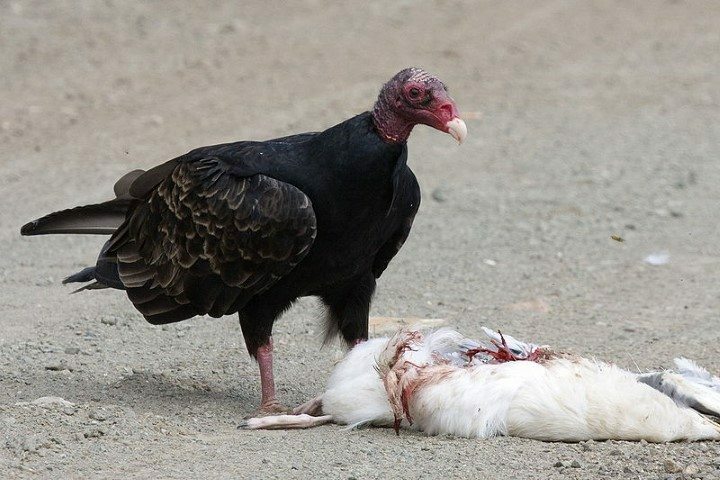 Turkey vulture with a gull carcass it has found. FACT #3: The bald eagle has 7,192 feathers. 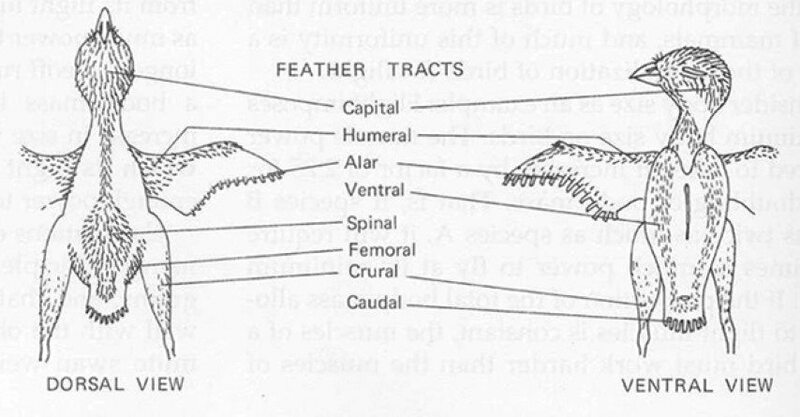 Feathers on a bird are not evenly distributed. 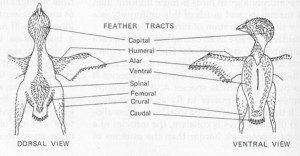 They grow in distinct tracts or lines, with large areas of bare skin that help cool the bird. 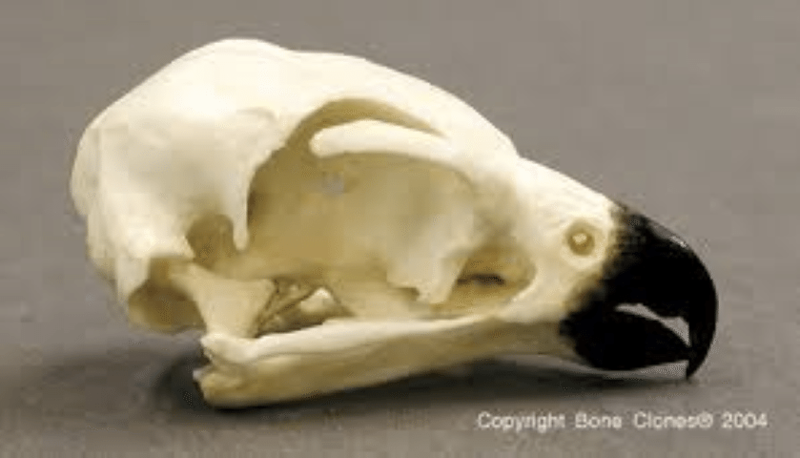 FACT #4: Most birds do not make it past their first winter. This is usually due to predation or starvation. Great horned owl chicks waiting to be fed. 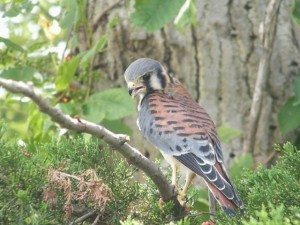 FACT #5: Kestrels can see ultraviolet light which allows them to see trails of urine left by their prey, ultimately leading this small falcon to dinner. 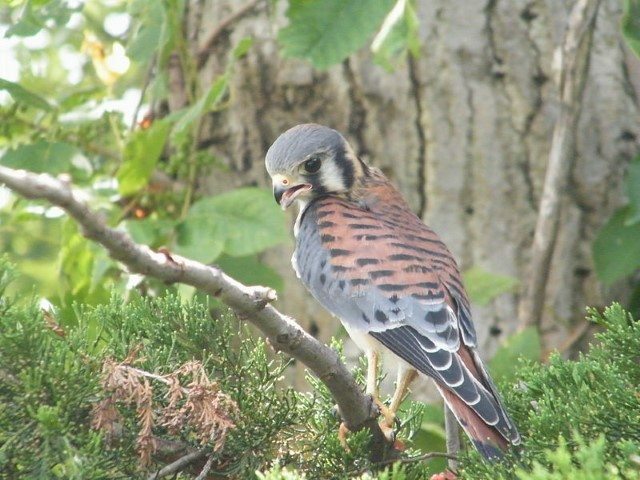 American kestrel scanning the ground for prey. 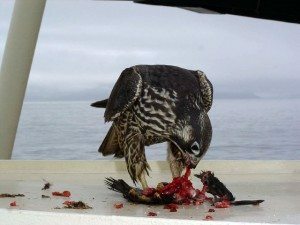 FACT #6: Birds of prey have very strong instincts and are very good hunters. Each has his own personality and hunting style, just as people do. Immature peregrine falcon with its kill. FACT #7: Falcon eyes are fifteen times proportionally larger than a humans.